2018 APPLICATIONS PERIOD HAS ENDED. NO FURTHER APPLICATIONS ARE BEING ACCEPTED AT THIS TIME. 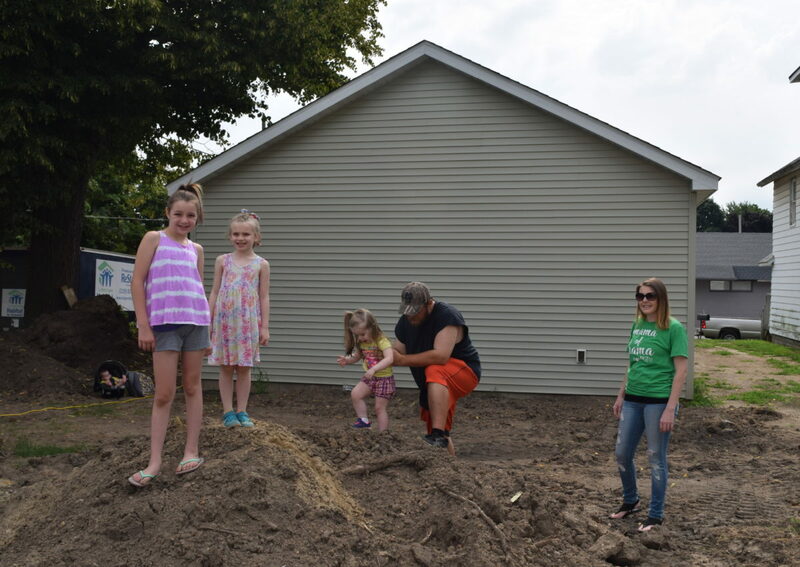 LaPorte County Habitat for Humanity offers a hands up, not a hand out, to low-income families who seek affordable home ownership. We build simple, decent, affordable homes in partnership with our home buyer families and hundreds of volunteers. We sell these homes to qualified home buyers and provide a no-interest mortgage. We make no profit from the sale of our homes. Since 1986, we have helped more than 51 families build and buy homes in LaPorte County. Habitat for Humanity offers approved applicants 0% financing on their home mortgage. Partner family must bring $2,000 to closing. This includes $800 down payment, first year’s insurance, initial escrow payment, and closing costs. Monthly payments (including property taxes and insurance) on a 20-year, 0% interest mortgage currently average between $450 and $550. Property tax rates and insurance premiums will vary for each home and homeowner. Mortgage principal payments are recycled to build more Habitat homes. Home ownership is a significant, long-term financial commitment with many rewards and benefits and offers security and stability to families who are financial responsible. Home buyers enter into a legal contract with LCHFH and all Habitat homeowners to faithfully repay their mortgage and support construction of more Habitat homes in the community. Families are chosen based on their ability to meet our qualification requirements. Applications are assessed by our Family Selection Committee, which reviews the family’s need for a home, ability to pay and willingness to partner. For any questions about our home ownership program you may call 219-814-4985.